As the use of cannabis for both medicinal and recreational purposes grows and the benefits to be gained from them becomes more well known, it is inevitable that pet owners will want their pets to benefit from the therapeutic effects of using derivatives that are safe. One of the safest cannabis compounds for animals is cannabidiol, known simply as CBD. CBD is one of more than one hundred compounds derived from cannabis. Importantly, CBD contains a minute trace amount of tetrahydrocannabinol or THC, which is the compound that has a psychoactive effect on the user, giving them a high. Therefore CBD does not produce a high when it is used, which is of critical importance to animals. It is known that THC produces adverse reactions in animals, such as lethargy, anxiety, or aggression. CBD is effective because it connects to the endocannabinoid receptors, known as CB1 And CB2 in the brains of mammals, and these connectors affect biological functions such as thinking, memory, pleasure, sleep and so on. 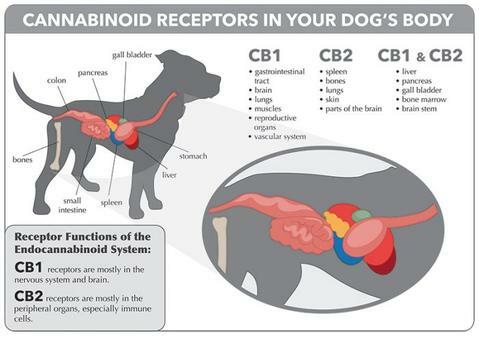 Animals benefit is several ways when CBD is administered to them; here are just a few of them. While CBD is used to treat a variety of conditions, its is also a “well medicine” too meaning, that it can be used when there are no conditions to be addressed. It is simply used to promote and maintain a state of homeostasis, or well being in animals, keeping their systems in balance and hopefully keeping the other conditions mentioned below at bay. CBD is well known to assist with pain management. Many pet owners have reported that when CBD is administered, their pets bounce back to their normal, nor near normal level of activity. This is particularly useful for pets who may have cancer or is suffering from some inflammatory type condition. Another benefit of CBD is as an anti convulsion medicine. It is well known to help control conditions such as epilepsy, seizures, tremors and multiple sclerosis. There are a myriad of reasons why your pet will suffer from bouts of nausea and vomiting. 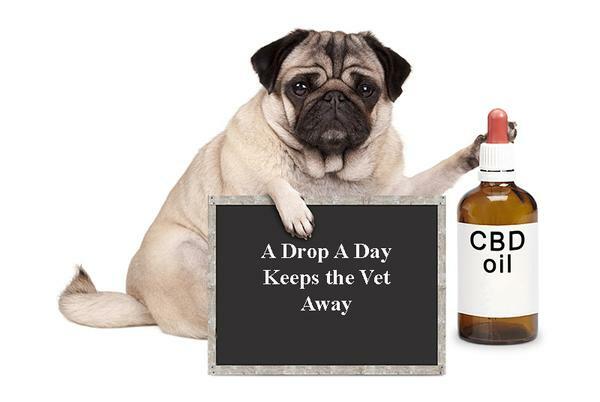 While it is wise to take your pet to the vet to find out the underlying cause of these symptoms, CBD does a great job of controlling nausea and/or vomiting in animals. CBD has been shown in clinical test to reduce the growth rate of cancerous tumors in the body. For many years there has been controversy surrounding the use of cannabis and derivatives. Although significant progress has been made regarding the overall perception of these compounds, pet owners can be confident that by using CBD, your pet will enjoy better overall health, without many of the side effects present in traditional medicine.